If you plan to continue being a Notary, keep your completed journals under your direct and exclusive control. If you plan to resign your commission, deliver all of your journals to the county clerk’s office in which your current oath is on file within 30 days of the resignation. You must also deliver the journals to the county clerk if you are disqualified, removed from office or allow your commission to expire without obtaining reappointment within 30 days of your current expiration date. Since you are in Los Angeles County, the county clerk will charge you $10 to deposit all of your journals at that time. Hello Carol. 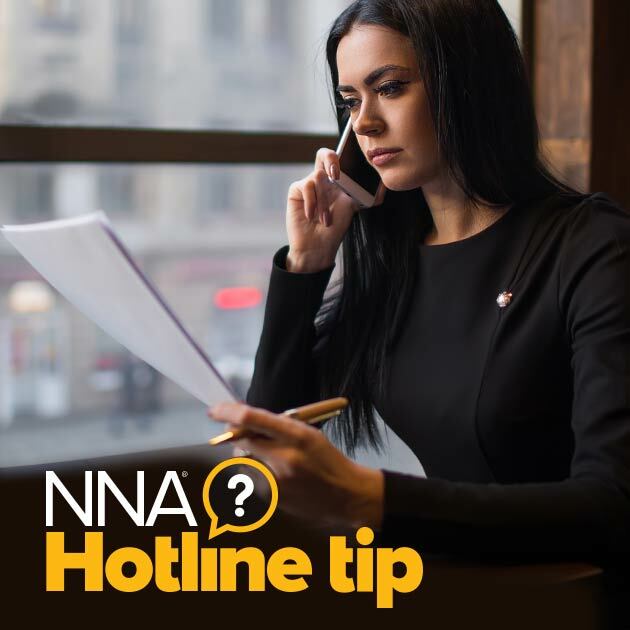 Not every state requires Notaries to keep a journal of their acts, though the NNA strongly recommends it. Hello Angela. While Tennessee does require Notaries to keep a record of their notarial acts, the state has not published specific guidelines for storage and disposal of completed journals at this time. I'm in Washington state. Does Washington require journals to be turned in? Hello Debra. No, Washington state does not require Notaries to keep a journal of their acts. Does New York State require notary journals? Hello. No, NY does not require a Notary journal. Can you please provide me with a reference to the authority for What Do I Do When I've Used My Entire Notary Journal, in Orange County, California. Hello. The rules for turning in journals when the Notary's commission permanently ends can be found in California Government Code Section 8209.